Funky Town Earrings Just $5! You are here: Home / Great Deals / Funky Town Earrings Just $5! Don’t you love earrings that have movement and catch the light from all directions? Order the Funky Town Earrings for Just $5! 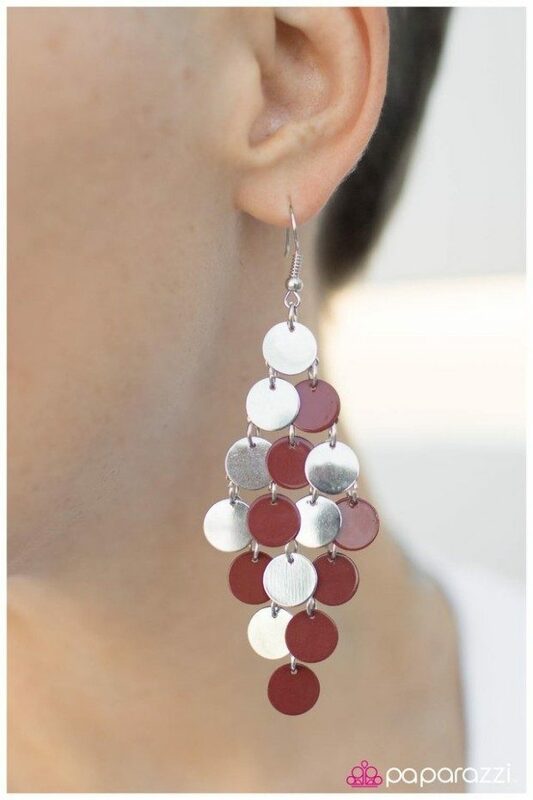 Cascading in a diagonal fashion, dainty silver and Marsala tinted discs coalesce into an enchanting diamond pattern. Earring attaches to a standard fishhook fitting. So many items to choose from – necklaces, earrings, bracelets and more – just $5 each! Every necklace purchase comes with a FREE set of matching earrings! Flat rate shipping whether you buy 1 or 10 pieces! Get FREE shipping on a $100 order or over! Check out this fantastic site!